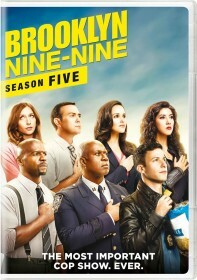 The Brooklyn Nine-Nine does not hold, nor claim to hold, copyright over material from "Brooklyn Nine-Nine" either in audiovisual form or in any promotional material released by FOX or Universal. We use such material only when it has been officially released for the purposes of promoting the show. Any material judged to be infringing copyright by its respective owners will be removed from this site. If you believe your copyright is being infringed, please contact us.